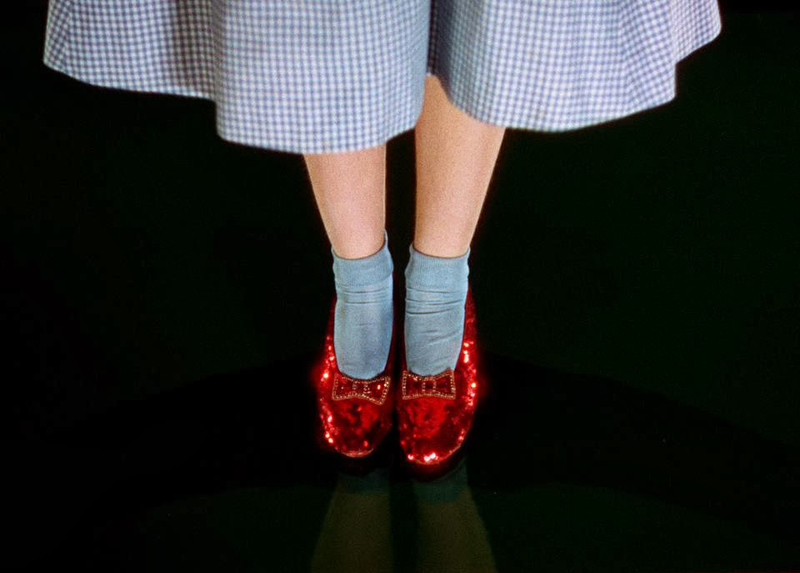 RETRO KIMMER'S BLOG: FIND MISSING RUBY SLIPPERS: 1 MILLION DOLLAR REWARD! 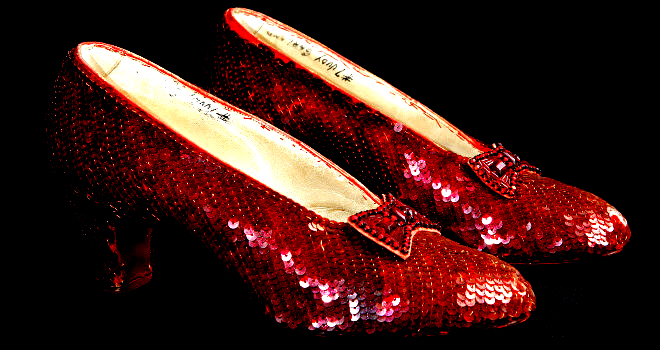 FIND MISSING RUBY SLIPPERS: 1 MILLION DOLLAR REWARD! GRAND RAPIDS, Minn. (AP) — An anonymous donor has offered a $1 million reward for credible information leading to the pair of Judy Garland's sequined, ruby red slippers stolen from a museum in her Minnesota hometown. The late actress wore the slippers in "The Wizard of Oz." Three other pairs still exist, including one on display at the Smithsonian Institution in Washington. John Kelsch, executive director of the Judy Garland Museum in Grand Rapids, Minnesota, says the donor is from Arizona and is a huge fan of Garland and the 1939 movie. The reward offer requires the exact location of the slippers and the perpetrator's name. The 10-year anniversary of the theft is in August. The slippers were insured for $1 million. Kelsch says they could be worth $2 million to $3 million now.